The Twilight Saga: ‘ Breaking Dawn ‘ movie release date is expected on November 18, 2011 as Part I. While Breaking Dawn movie Part II will be released the following summer according to Summit Entertainment. 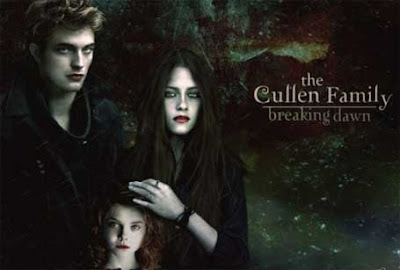 The Twilight Saga: Breaking Dawn will be directed by Bill Condon and still based on the novel of the same name by Stephenie Meyer with two-parts romantic-fantasy film. The determination has been suggested at, as studio execs noted the complexity of the 756-page Stephenie Meyer’s book. According to the movie creators of this movie, Taylor Lautner, Robert Pattinson and Kristen Stewart will still be the primary characters repeating the roles as Jacob Black, Edward Cullen, and Bella Swan respectively. In the meantime, the movie will undertake to keep its PG-13 rating as it will not be featuring any of the extraneously gruesome scenes from the novel according to several reports.